12 inch long Tupperware ice tea spoons. Each marked with the word Tupperware and the date 1954. 5 pieces in pastel colors. Estate purchase. These 5 long handle Tupperware spoons were purchased at an estate sale so I don't know how much usage they've had in the past but they look very good. 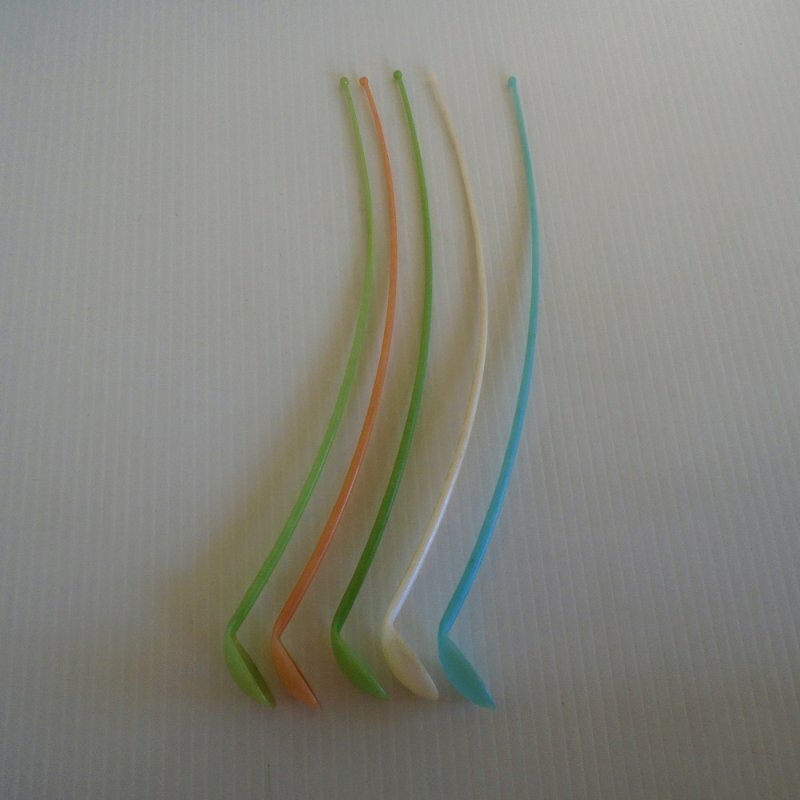 They are in pastel colors of white, pink, blue, and green. They measure 12 inches long. Each spoon is marked Tupperware and is dated 1954. Buyer to pay $4.75 USPS First Class Mail Parcel delivery charges. Delivery is from Arizona.